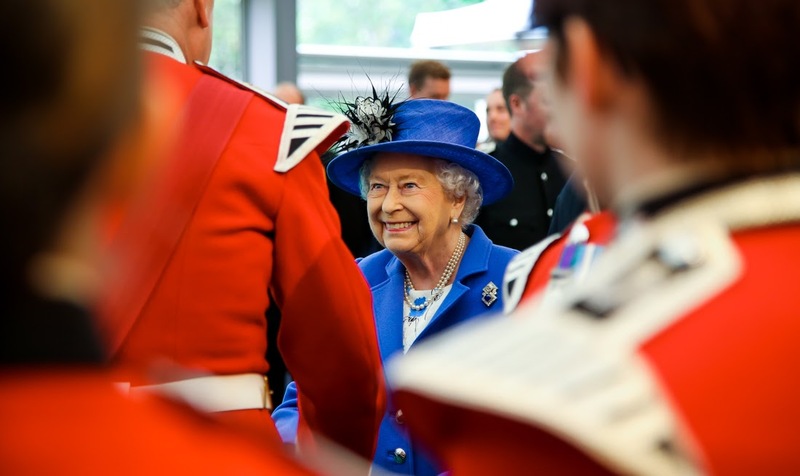 The Queen celebrated being the longest serving captain-general of a unique military unit at The Artillery Garden this summer. 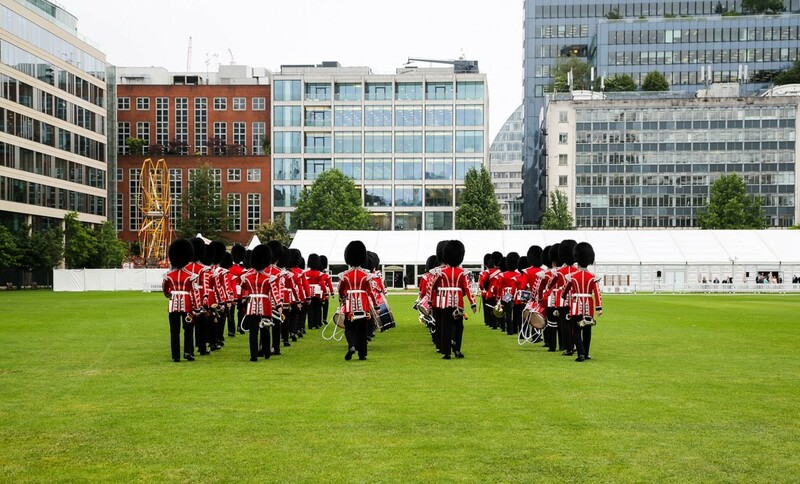 Held on behalf of the Honourable Artillery Company, this special celebration took place at our summer venue The Artillery Garden at The HAC. 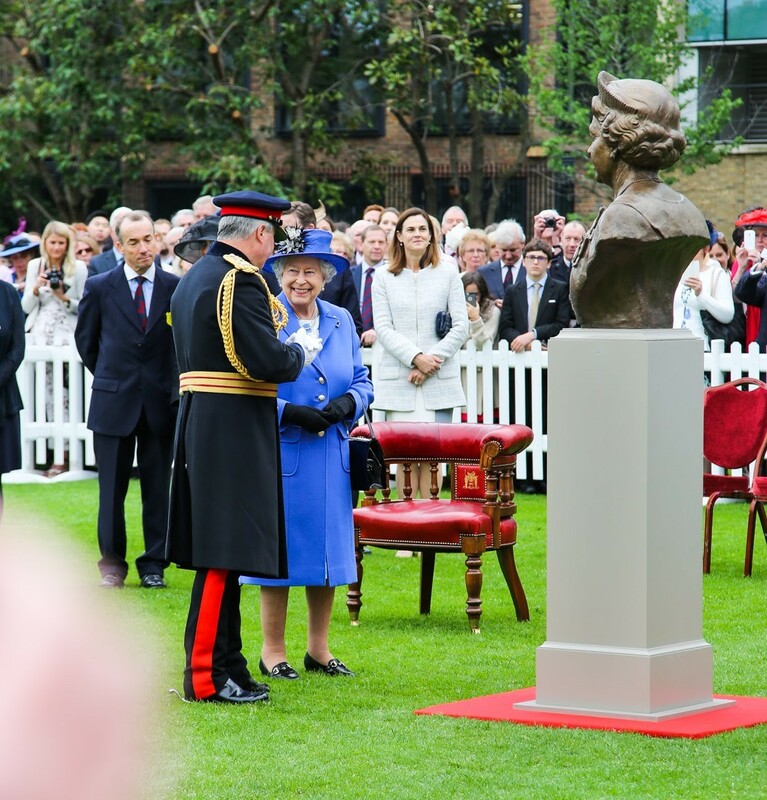 Members of the Honourable Artillery Company and guests marked the Queen’s 64 years as the titular head of The Honourable Artillery Company by commissioning a bronze bust from leading portrait sculptor Antony Dufort, which was unveiled on the day by Her Majesty the Queen. On the day 1,200 guests gathered for a summer garden party, with a quintessentially English afternoon tea menu provided by our caterer Create Food and Party Design. Create’s afternoon tea menu was served on Royal white trays and traditional cake stands. Guests enjoyed a selection of sandwiches, including Wye Valley Smoked Salmon & Dill Cream Cheese, Free Range Egg with Homemade Mayonnaise & Mustard Cress, Cured Cucumber with Mint & Cream Cheese, Wensleydale Cheddar & Tomato Chutney, Baked Gammon & Dijon Mustard and Roast Hereford Beef with Watercress & Horseradish. There was also a selection of savoury canapes, including Mini Gorgonzola and Spring Onion Tarts and Homemade Sausage Rolls with Tomato. Of course no afternoon tea would be complete without cakes – guests feasted on Mini Lemon Tarts, Mini Chocolate Tarts, Eton Mess Macaroons, Battenberg and Scones with strawberry jam and clotted cream. The Reserve Forces unit is best known for firing gun salutes near the Tower of London to mark major royal and state occasions and other ceremonial roles but 400 of its 2,500 members are active members of the Army Reserve. Lieutenant Colonel Mark Wood commanding officer of the HAC regiment said: “We’ve got a long and proud history and association with the Royal Family and the Queen in particular as our Captain-General… to have her here today to mark her longest service [record] as our Captain-General has been absolutely amazing and we’re incredibly privileged, particularly in what is such a busy year for Her Majesty. After unveiling the bronze bust at the HAC’s grounds, the Queen attended a reception inside the Ultimate Experience venue, where members of the unit were gathered. Offering indoor and outdoor event space, The Artillery Garden at the HAC is ideal for summer parties, dinners, award ceremonies, product launches and presentations. The Artillery Garden at the HAC is perfect for daytime and evening events for 400-2,400 guests.